These days, in the heat of the latest political developments in our country –the restoration of diplomatic relations with the United States– many people are concerned, and rightly so, about the capabilities of the empire to destabilize our society from within. Thus, it seemed appropriate to clarify the concepts of psychological warfare and ideological struggle, because, by knowing them, we will be in a better position to face and overcome in the new battles that lie ahead. “Psychological warfare is the set of actions undertaken by one or several nations through propaganda and other media against enemy, neutral or friendly groups of the population to influence their ideas, feelings, opinions and behaviors so that they come to support the policy and objectives of the nation or group of nations that this psychological warfare serves”. Psychological warfare is, therefore, a set of enemy actions that, using the mass media, seeks to influence groups of people or societies and to modify their feelings, opinions and behavior. Its purpose is to undermine and destabilize the country, organization or person targeted by the project. In other words, “psychological warfare” is the art of manipulation of social awareness. It is necessary to unmask and denounce it systematically, by all means at our disposal. An example of what the enemy has accomplished by this means was the “custody law” of 1961. It was an act of psychological warfare in which the CIA and its allies at the time, using various means (propaganda, rumors, falsification of official documents, radio programs, etc. ), were able to confuse and terrorize a sector of the Cuban population so that they would send their children to the United States. Consequently, more than 15,000 children were sent out of the country because their parents, terrified by the slanderous comments that were disseminated, believed that the revolutionary government would “re-educate” their children in the USSR and take away parental authority over them. In all these years, Cuba has been a laboratory for these “cold warriors”. Among the actions in preparation for the Bay of Pigs mercenary invasion, the CIA created a radio station, located in a key in Honduras, that was called Radio Swan. 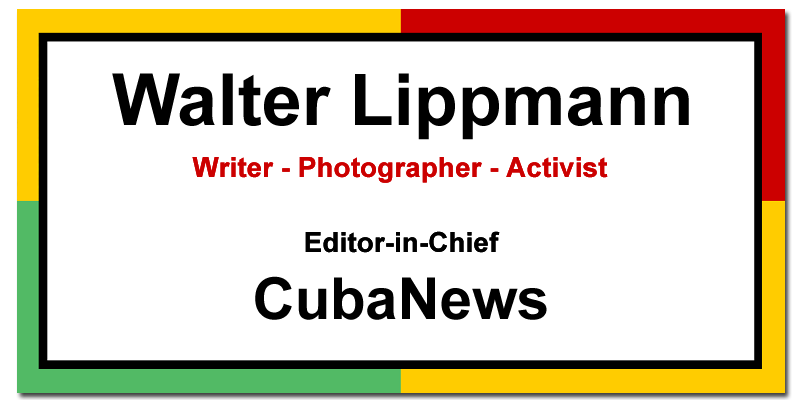 Its mission was to transmit –24 hours a day– manipulated news, rumors, smear campaigns and anything that could contribute to confuse Cubans in order to disarm them on the eve of the aggression. More recently the misnamed Radio and TV Marti replaced it with similar goals. Millions of leaflets have washed up on our shores or have been dropped by air in pursuit of these goals; while in other countries experts, political scientists, lecturers and filmmakers have worked for the same purpose. It has been a war in every sense of the word, but without firing a single shot. This definition, that came thirty years after the first operations, explained the experience gathered by the services and specialized agencies of the United States in their actions against our peoples. Many “non-governmental” institutions (NGOs) have emerged in the public arena for such purposes. Among them, the National Endowment for Democracy (NED), the International Republican Institute (IRI), together with the arch-reactionary “Heritage Foundation” occupy a privileged place. They manufacture articles, campaigns, images of people and everything imaginable to achieve their aims: to confuse, deceive, divert. Moreover, in each US embassy a section –be it the CIA, the USIA or other specialized agency– is in charge of dealing with the mass media and media campaigns. Every day in the capitalist press, or in other innovative means, (including the Internet), one can find news, discussions or opinion articles concerning political, social, labor or other conflicts with critical tones. With apparent neutrality they pass judgment on this or that situation, or the performance of a given political personality, or of any social sphere, with the covert intention of molding or creating a certain state of mind. So, day after day, information accumulates in our psyches that later become criteria, states of mind, adverse opinions and contradictions which are intended to act upon, modify or even change a given scenario. That is precisely what specialists have called “psychological warfare”. Its political and ideological aims are obvious. While writing this, I recall images of that great US film Wag the Dog, with Robert de Niro and Dustin Hoffman, in which a US president, troubled by the scandal caused by a love affair close to his re-election hires a Hollywood producer to fabricate a nonexistent war and produce heroes to divert the public’s attention. That is the purpose: to make believe, to win hearts and minds for something that simply doesn’t exist. Consequently, the aim of “psychological warfare” campaigns is to break down a society, discredit its leaders, institutions and vanguard organizations, sow doubt, distrust and politically subvert its target area, soften it, dismantle it and then take it over. Today, new ways have been developed and since the collapse of the European socialist camp, so-called “soft coups” and “popular rebellions” emerged stimulated by external ideological centers to overthrow an existing government, with support from international media agencies of information. The use of factual powers has been added, as in the cases of Honduras, Paraguay and Brazil, or the campaigns of shortages and discredit in Venezuela, all of them aimed at eroding local and international public opinion in order to bring about the desired government change. Thus, psychological warfare is essentially a premeditated, external action with an ideological purpose that combines clandestine and conventional methods. These can resort even in a political crime as was the case of the indigenous leader Berta Caceres, recently murdered in Honduras for her struggle in defense of the land of their ancestors. Ideological struggle is the battle of ideas to which Fidel called us; one that we must fight against all forms of “psychological warfare”, ideological penetration, or whatever name it takes. It is a concept that extends to all forms of thought, to every existing political, cultural, philosophical, economic and social current. It is the concept that sets the patterns of a given socioeconomic system and from which all actions in those areas derive. The dissemination of socialist ideas, the study of Marxism-Leninism and, in our case, the profound study of Marti and Fidel, allows ideas to be expounded and examples to be contrasted. These allow us to persuade, discuss, propose and achieve a more just and equitable society. Revolutionary ideological activity cannot be schematic or dogmatic and must know what the central themes of psychological warfare are. These must be taken into account when planning ideological actions which, of course, pursue more comprehensive goals, since they expose the most advanced social ideas of our era. These actions will require the support of our media, political and mass organizations. These are indispensable channels for dialogue with the people in order to persuade and convince them of our truths and reasons. In short, we must discuss, think and analyze more and use all possible spaces, which also include the study and research centers of the ideas of Marti and Che Guevara, as well as our military, cultural, political and economic thought. And we must especially delve into the political and social thinking of Fidel Castro, where we can find the most noble and solidarity causes undertaken by our people for more than half a century. The press and audiovisual media, like all political and social organizations in the country, must play a fundamental role in this struggle through criticism, exposure of our realities and the mistakes that have been made. They must also reflect on the profound changes that the revolution has introduced in our society, which went from being an example of consumerism, to one of profound solidarity and internationalism. Those are our best values, which convince and persuade, the ones we need to face the new battles: the ones that are present in the daily lives of all Cubans. Division General (ret. ), former head of Cuban intelligence services. Author of several books on the intelligence services of the US against Cuba and has investigated the assassination of John F. Kennedy from the Cuban viewpoint.